I’ve never been fond of fishing. But the quote “Give a man a fish, and you feed him for a day. Teach a man to fish, and you feed him for a lifetime” has always had meaning for me. 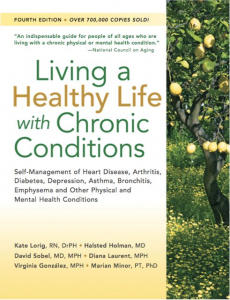 When I was offered the opportunity to become a leader of the Living Well with Chronic Conditions workshop at the DAHLC, I saw it as an opportunity to bring this adage to life. As a long-time sufferer of GI issues, I am no stranger to chronic disease. I worked closely with my healthcare provider to help manage my condition, but I also needed to “learn how to fish” if I wanted to live a normal life. I am no professional fisherman (woman), but I can now confidently say I know how to direct the boat and work the line. I am a lifelong learner, and I am managing my condition. Now, I get to help others do the same. I want to empower others to become actively engaged in managing their own health. I believe a person’s well-being should be approached from a whole person perspective, and that is exactly what this workshop offers. 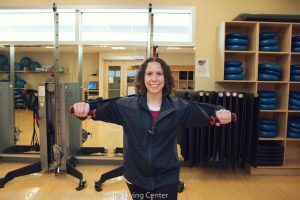 What is a Chronic Condition? : *Chronic conditions may include (but are not limited to): Allergies, Arthritis, Asthma, Cancer, Chronic Obstructive Pulmonary Disease (COPD), Chron's disease, Cystic Fibrosis, Diabetes, Fibromyalgia, Gluten Intolerance, Heart Disease, Multiple Sclerosis, Obesity, Osteoporosis, Tobacco Use and Related Conditions. Condition does not need to be diagnosed. If you or someone you care for has a chronic condition, I encourage you to sign up for this workshop. It’s time to learn how to fish!